Our aim is to make your visit to our wonderful links course a memorable one and one that you will want to repeat. This starts with your first contact with us and continues right up until we wish you a ‘fond farewell’ and ‘haste ye back’. While you should be able to find out all the information you need about playing and visiting Dunbar on this website our knowledgeable staff will be delighted to assist you in making your trip as enjoyable as possible. All are enthusiastic golfers and are local to the area, therefore we have a wealth of knowledge about accommodation, other surrounding courses and the many other visitor attractions that East Lothian has to offer. 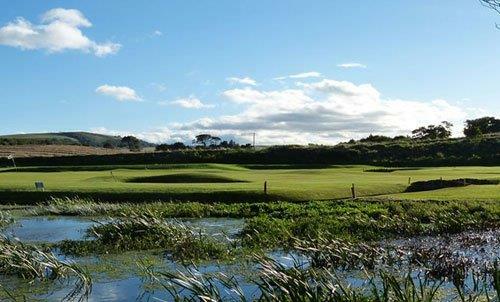 We look forward to welcoming you to ‘Scotland’s Golf Coast’, the ‘Cradle of Golf’. A deposit of £20.00 per person is required to confirm the booking. This is required to be paid within 7 days of making the booking. The final balance is due to be paid one month before the date of play. We accept payment by Visa (debit and credit) card, MasterCard and American Express. Cheques are to be made payable to ‘Dunbar Golf Club’ and payment can also be made by bank transfer by contacting the office for bank details.